For a comfortable pregnancy optimal functioning of body mechanics is essential. Osteopathic treatment may help with this, especially as the postural changes during pregnancy are significant. Biomechanically, the pelvis has to adapt to accommodate the growing fetus, so starts to rotate and ligaments become lax. The spine also has to adapt as the fetus grows and this results in your centre of gravity changing continuously. Due to this, some pregnant women experience pain and discomfort. 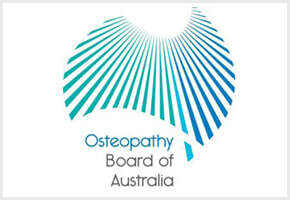 Osteopathic treatment may promote good spinal and pelvic function, aiding the birthing process. Post-natally osteopathic treatment may help with many postural and strain problems that develop due to caring for a newborn. An osteopathic structural check-up is useful for both mother and baby if there has been a long, difficult labour, or any intervention like ventouse, forceps or cesarean delivery. (1) (Osteopathic Research for Lower Back Pain in Pregnant and Postpartum Women) Franke H., Franke J. D. and Fryer G.Osteopathic Manipulative Treatment for Non-specific Lower Back Pain: a Systematic Review and Meta-Analysis, published in BMC Musculoskeletal Disorders 2014. (2) (Osteopathic Manipulative Treatment of Back Pain and Related Symptoms during Pregnancy: randomized controlled trial) John C. Licciardone DO et al., American Journal of Obstetrics and Gynaecology, Volume 202, January 2010.